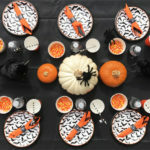 This entry was posted in Uncategorized, Themed Parties and tagged banner, centerpiece topper, cupcake topper, invitation, party food, party printables, personalized water labels, halloween, that party chick, thatpartychick, halloween party ideas, halloween invitations, halloween kid's parties, halloween banner, happy halloween, party on August 30, 2018 by thatpartychick. 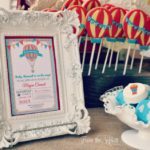 This entry was posted in Uncategorized, Themed Parties and tagged centerpiece topper, cupcake topper, girls birthday, party food, party printables, personalized water label, personalized water labels, tween birthday, that party chick, thatpartychick, party, sleepover party, sleepover, night owl birthday, birthday party, night owl on August 1, 2018 by thatpartychick. 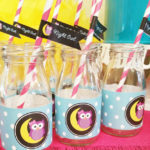 This entry was posted in Uncategorized, Summer Parties, Themed Parties and tagged girls birthday, party food, party printables, personalized water label, personalized water labels, tween birthday, that party chick, thatpartychick, summer party ideas, party, jump party, jump birthday, trampoline, trampoline park, trampoline park birthday, jump on July 24, 2018 by thatpartychick. 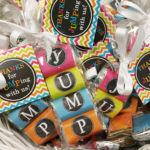 This entry was posted in Themed Parties and tagged banner, centerpiece topper, flower, party printables, that party chick, thatpartychick, party, hot air balloon, baby shower, baby, shower, balloons, dessert, flags, straw flags, drinkware, baby shower party, table signs, invitations, baby shower invitations on July 17, 2018 by thatpartychick. 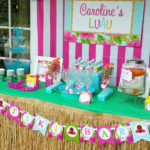 This entry was posted in Summer Parties, Themed Parties and tagged centerpiece topper, cupcake topper, girls birthday, party food, party printables, personalized water label, personalized water labels, tween birthday, that party chick, swim party, pool party, thatpartychick, summer cocktail, summer party ideas, luau party, luau birthday, luau graduation, luau, party, summer, aloha, flip flops, waterslide, ocean, ocean water on July 10, 2018 by thatpartychick. Animal 2nd Birthday - Wild Time! 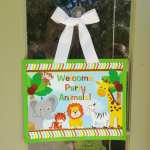 This entry was posted in Themed Parties and tagged boys birthday, thatpartychick, animal party, animal birthday, safari party, second birthday, jungle, safari, animal, printables on January 3, 2018 by thatpartychick. 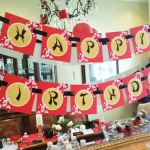 This entry was posted in Themed Parties and tagged asian party, chinese party, japanese party, hibachi party, cherry blossom, dinner party, teen party, red, gold, black, thatpartychick on June 20, 2017 by thatpartychick.